Gbag ia a new compact golfbag that can be carried, or used on push/pull carts and golf cars. New, high resistance materials, a revolutionary sorting system and a groundbreaking design. Interchangeable pockets, custom colors, or a cart integrated without impacting the bag's footprint.. here are some of your future bag's benefits! 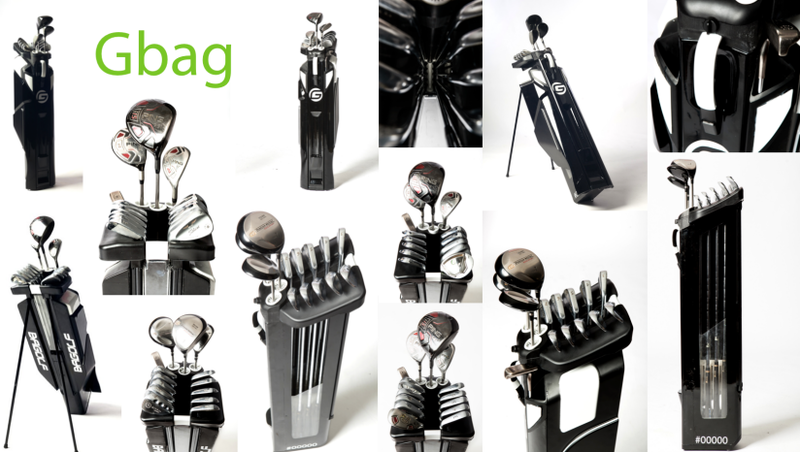 Please let us introduce you to Gbag, your new generation advanced-technology Bagolf bag. Carefully thought-out, this bag will ensure that your clubs are 100% protected under all circumstances on the golf course.